At the Geneva Motor Show in March Mercedes-Benz will be presenting two new models which see the premium brand from Stuttgart taking a great leap forward with regard to consumption and CO2 emissions. The new C 220 CDI now consumes a mere 4.5 litres per 100 kilometres – that’s 0.3 of a litre less than previously. This cuts its CO2 output from 127 g/km to 119 g/km. The E 250 CDI with an automatic transmission will require just 4.9 litres of diesel per 100 kilometres (129 g/km CO2) in future – as opposed to 5.8 litres currently (154 g/km CO2 – all provisional, combined figures). The high performance that characterises the four-cylinder diesel engines – and with it the driving pleasure that they generate – will remain undiminished for both models. This puts Mercedes-Benz in a new dimension of efficiency in these segments. And the new C-Class and E-Class models serve as shining examples of the fact that the combustion engine still offers vast potential – which Mercedes-Benz will be harnessing in a targeted manner for its other models, too. The engineers’ remit was to optimise the environmentally friendly properties of the executive- and luxury-segment models from Mercedes-Benz, and the fruits of their labours speak volumes: consumption and emissions have been cut by around 16 percent (minus 0.9 litre and minus 25 grammes respectively) for the E 250 CDI and by 6 percent (minus 0.3 of a litre and minus 8 grammes) for the C 220 CDI. Both models are already known for being exceedingly economical and efficient. In the E 250 CDI the four-cylinder engine achieves 150 kW (204 hp) and develops a superb torque of 500 Nm. Drivers of the C 220 CDI have 125 kW (170 hp) and a maximum torque of 400 Nm at their disposal. Dynamism and pulling power are set to remain firmly on the scene in future, since this major leap forward in terms of efficiency is thanks largely to the consistent advancement of the diesel engine and the drive system. Further improvements to the four-cylinder diesel engine formed one of the focal points of the optimisation measures. The characteristic features of this powerplant include a lighter crankshaft (it now has only four balance weights as opposed to eight previously), optimised oil pressure regulation and belt drive plus an exhaust gas turbocharger with a self-regulating compressor. What’s more, both the C 200 CDI and the E 250 CDI have been given a special automatic start/stop system – in conjunction with an automatic transmission for the first time in the case of the E-Class. 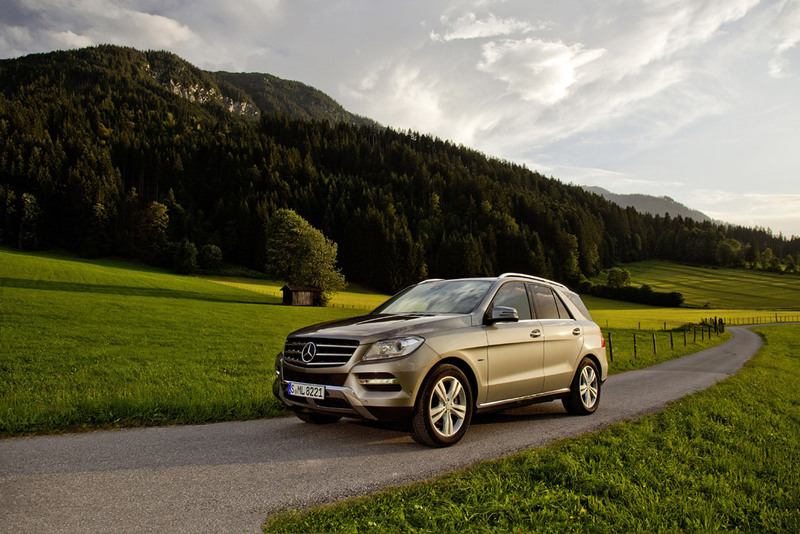 The work that went into enhancing the 7-speed automatic transmission in the E 250 CDI was equally intensive. The system’s highlights include a new transformer with reduced slip, a newly developed ECO shift program with better kingpin inclination and an additional oil pump which maintains the operating pressure during an automatic stop. Friction-optimised components in conjunction with fuel-efficient engine oil enable the operating pressure to be lowered. A different rear axle ratio (2.47 instead of 2.65) also contributes to the good consumption figures. The environmentally friendly Mercedes-Benz C 220 CDI and E 250 CDI models will be available this autumn, and further BlueEFFICIENCY models from Mercedes-Benz will follow suit. The range of particularly environmentally friendly and economical Mercedes-Benz vehicles already comprises 60 BlueEFFICIENCY models from the A-Class to the S-Class.